At all levels of sport outside factors may cause some players to become irritated, frustrated and distracted. A critical break in concentration can often be the ideal opportunity for an opponent to seize momentum. Most of the time spectators, and their behavior are 100 percent out of your control. So what can you do about spectator distractions to regain peak performance? Talk to the Umpire: Depending on the distraction, and the age of the player, this may be an excellent first step. Eventually, your goal is to develop the ability to play under difficult conditions. The more experience you have, the more this strategy can also backfire! If sufficiently irritated, you can become hyper-focused on listening or watching for even the subtlest of disturbances. Not to mention that antagonistic fans may then purposely attempt to get under your skin. All of which you have ZERO control over. Quiet the noise within your own mind. You see the crowd noise is not the actual issue. The problem is your focus on the crowd noise impacts concentration. When your focus is diverted to spectators, you are not paying attention to playing your game, dictating the pace of the game or implementing your strategy for each point. You haven’t lost your concentration you just misplaced it! Even some top tennis pros have allowed crowd noise become mental noise to the detriment of their on-court performance. At the 2016 Monte Carlo Rolex Masters, fourth-seed Stan Wawrinka was highly annoyed with the crowd noise causing him to lose his serve four times and, ultimately, lose his quarterfinal match to Rafael Nadal 1-6, 4-6. Wawrinka was so agitated that he broke his racquet in the fifth game because all of the noise coming from the restaurant above the court. Wawrinka complained about the crowd noise in his post-match interview. 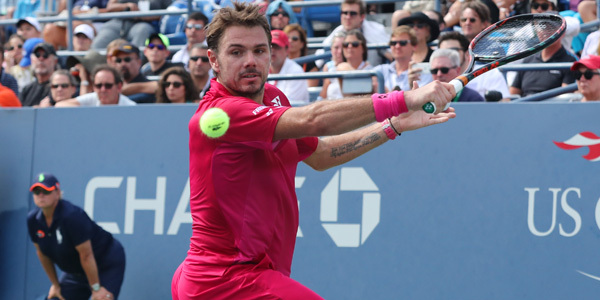 Wawrinka conceded that it was not necessarily the crowd noise but his inability to mentally manage the crowd noise. Learning to control your attention and re-focus when necessary is your ultimate weapon to silence crowd noise and immerse yourself in your game. Breathe – The key is to recognize early when you feel your focus drifting to external noise. When you notice the early signs of agitation, use the R&B technique… Relax & Breathe! The trick is to actually focus your attention on relaxing (shrugging your shoulders, alternating tensing and relaxing your arms, etc.) and deep breathing (feel the oxygen slowly enter your lungs as your chest rises then slowly and fully exhale). By utilizing this technique, you are relaxing the body and diverting your attention away from distractions. Visualize – See your self letting go of what you cannot control. As you inhale a feeling of calm, exhale frustration. Now imagine your next serve, return, pitch or play and allow your body to play focused and free. Go after your peak performance.